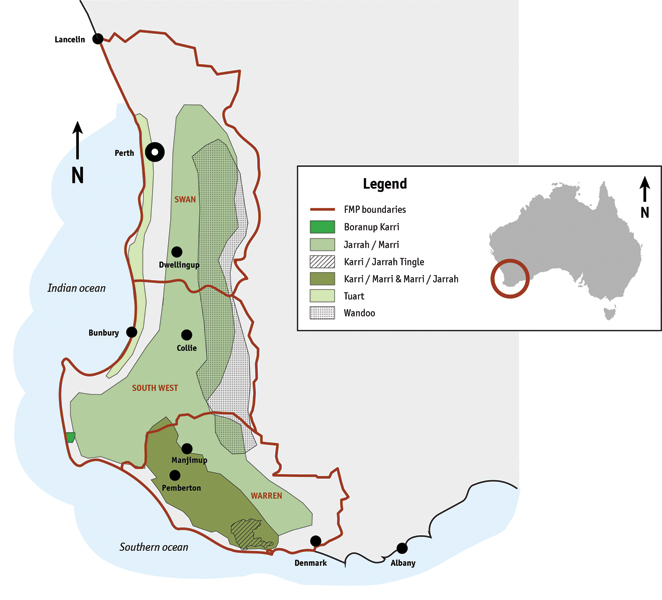 Western Australia's South West provides the perfect growing environment for a range Eucalyptus species including Marri, Karri and Jarrah. These species are native to Western Australia and aside from a handful of plantations in Europe, this small corner of the globe is the only place you can find them. With it's distinct character and grain, the Marri tree is unlike anything else in the world. 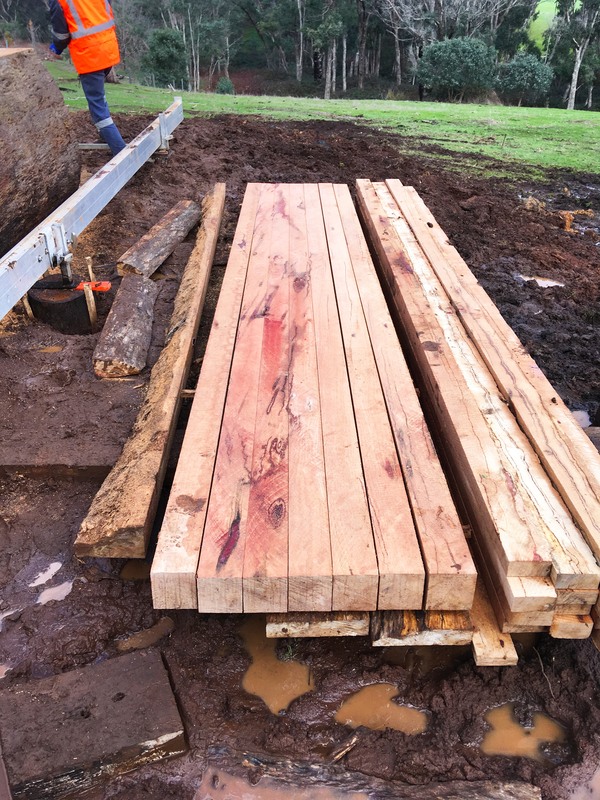 This is a solid hardwood which is most popular in indoor and outdoor furniture, but has also been used for general construction, piles and posts. 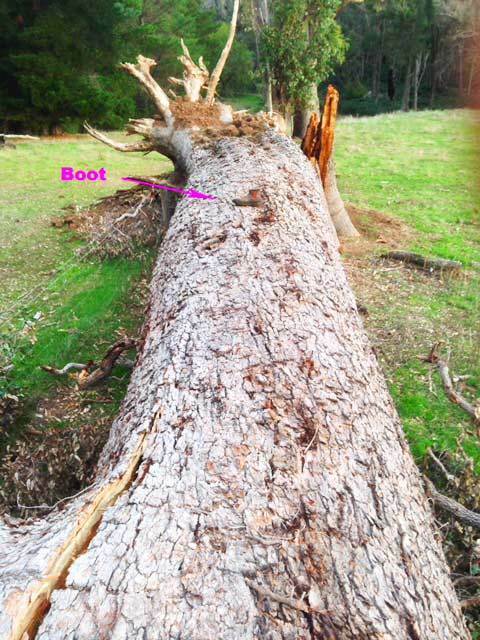 The base of the tree measures up to nearly 2 metres wide. 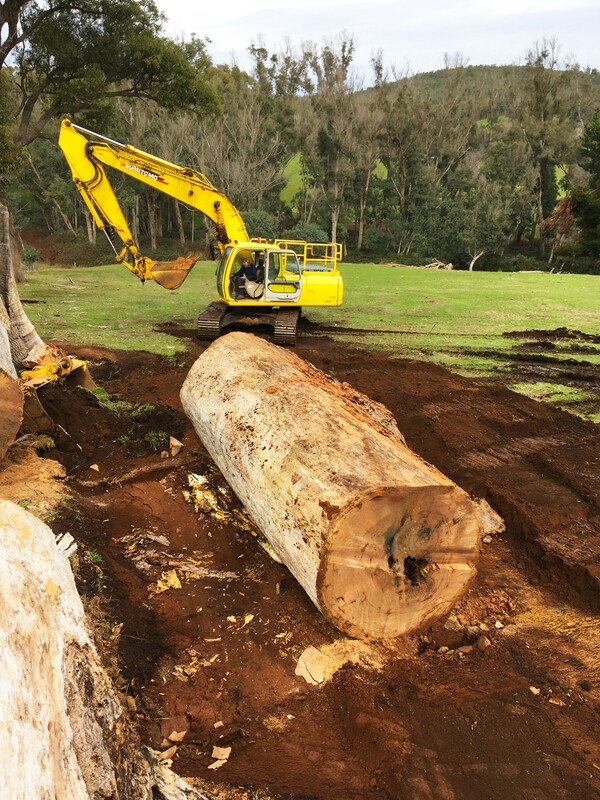 This tree's trunk spanned a massive 10 meters in length and 2 meters in diameter, which we estimate ages this tree to be around 1000 years old. 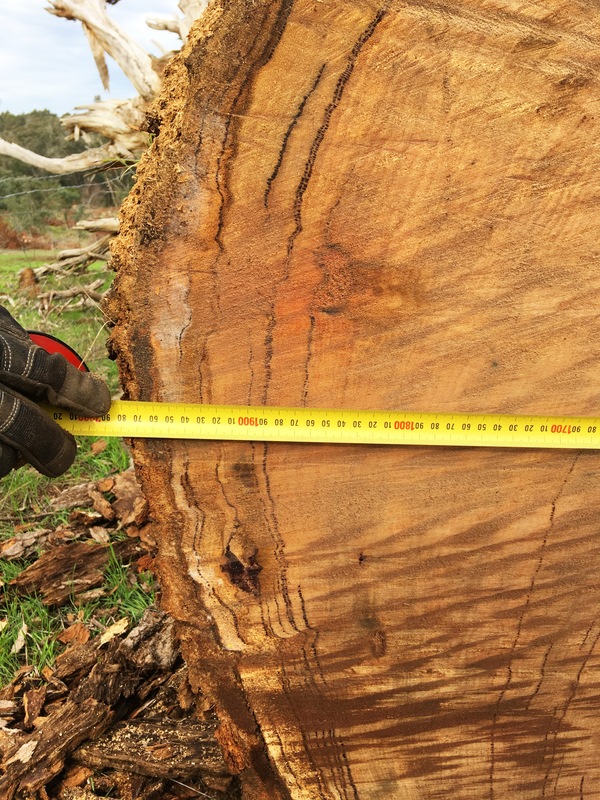 At this age this ancient giant has survived against the odds, and we believe it's because it happened to be growing on high rocky outcrop, protecting it from deforestation, an estimated 100 major bushfires (which are very common in the area) as well as fungal attack, termites and animal abuse. 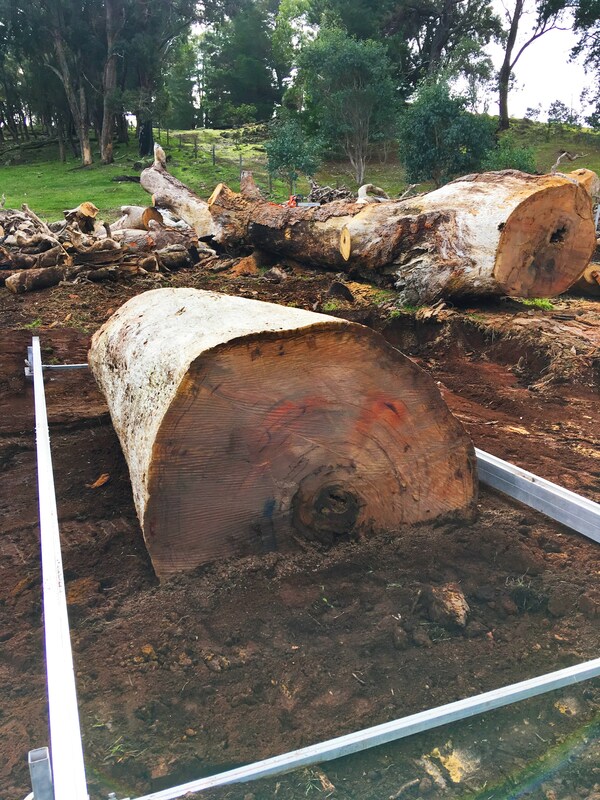 A massive hole was dug to position the trunk flat on the ground. 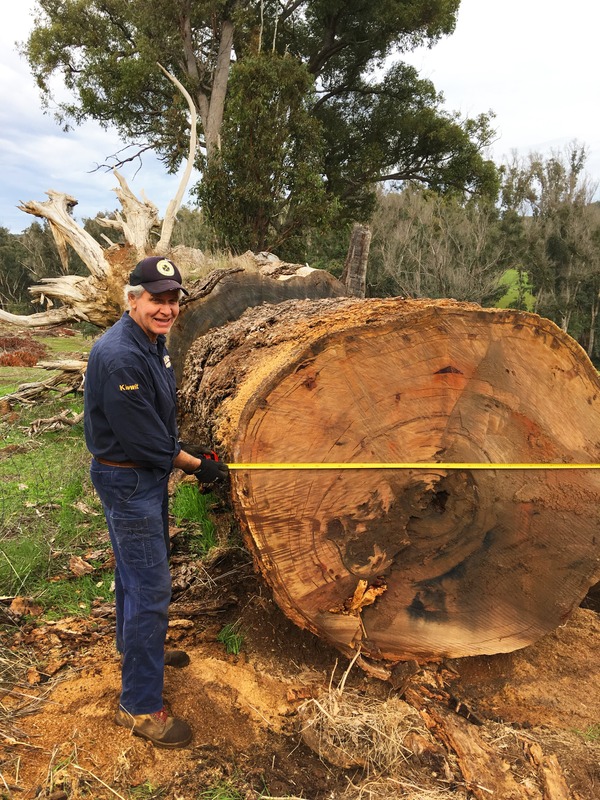 The Slabmaster sawing beams from the trunk. 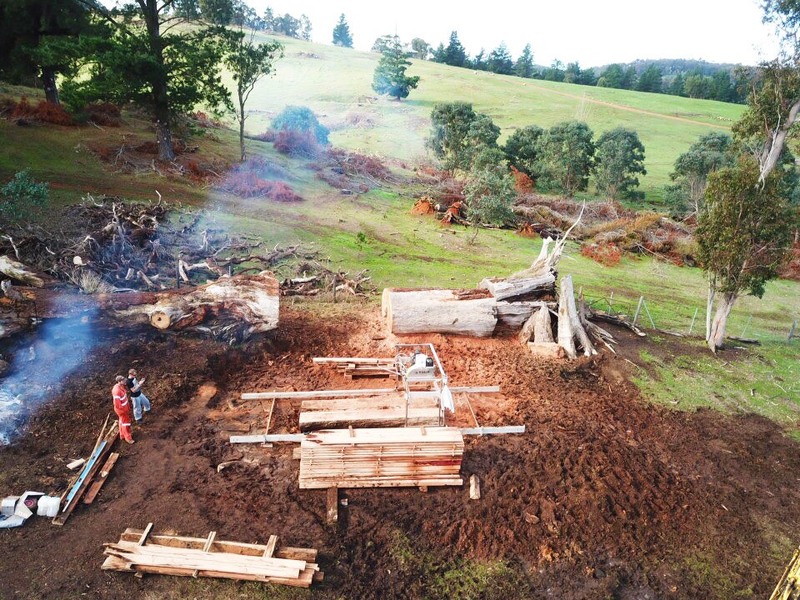 An aerial shot of the worksite, where a massive hole was dug to lay the tree flat. 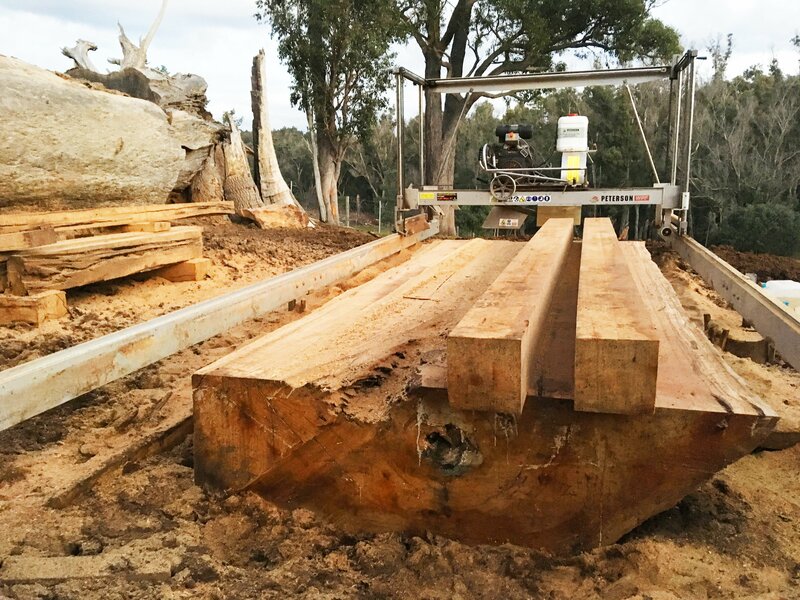 If you would like to learn more about this upcoming project, you can contact Terry at Fremantle Timber Traders on 0412 912 039 or email at ftt@iinet.net.au.